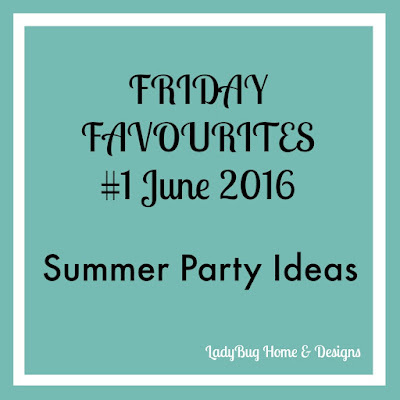 This Friday Favourites Theme is: Summer Party Planning. My daughter would love to have invite her friends or cuddly toys for a party everyday of the year. As we get closer to sunshine summer days, I start dreaming of throwing a party in the backyard. First on list is the bunting and decorations. Loving the pastel colours! 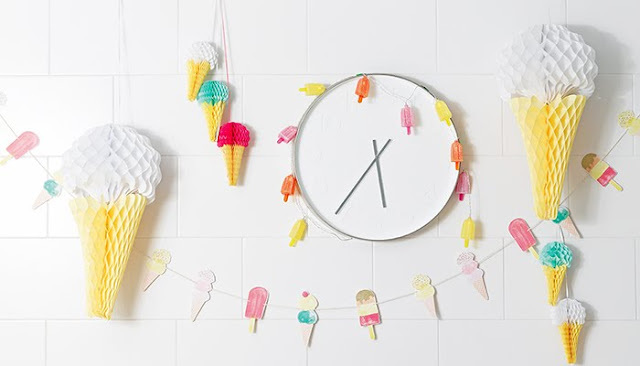 The Ice Cream Honeycomb and Ice Cream Lolly Lights are adorable. I can totally imagine hanging these above the party table or along fence. Who screams for ice cream? 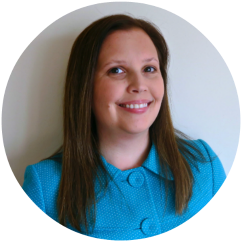 There is even some free printable available. Now time for the paper goods. 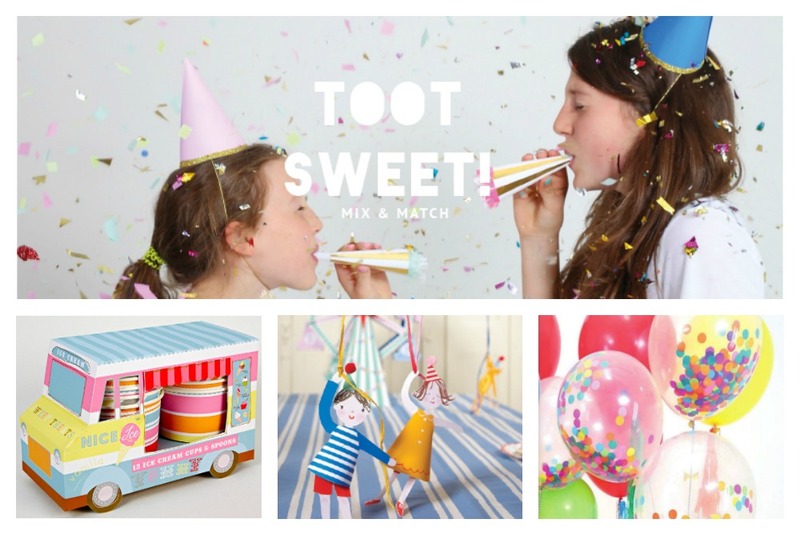 On the Meri Meri website I adore the Toot Sweet collection. The napkins and plates feature confetti or strips. 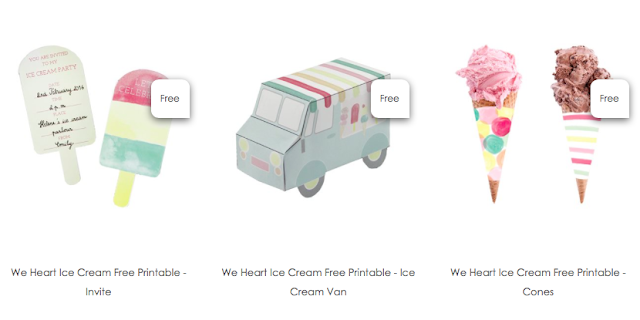 The paper dolls illustrations would be bring fun to any party. This collection also has table decorations perfect for a country fair or big top party theme. 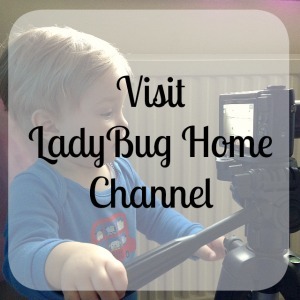 Below is an Amazon.co.uk Shop for items. Please note that some items are limited so don't wait to purchase your favourite items. I love Wilkinson's summer range of Beehive Drink Dispenser and Beehive Drinking Jars. The other item that would be ideal for adults and children is the Coloured Milk Bottles. I definitely think a Piccolo Portable BBQ Turquoise would be perfect at my summer party. Adirondack Chairs always make me think of sitting on a porch during a summer evening watching the sunset. I love the bright colours and on my wish list for the future. My favourite drink on a summer day is Peach Ice Tea. I grew up drinking tea throughout the year but love an ice cold glass of peach tea on a summer day. I will definitely being using Marzia's recipe from Little Spice Jar for Handmade Peach Tea Ice. Make the peach syrup a couple days ahead of time and it is ready for your next summer party. 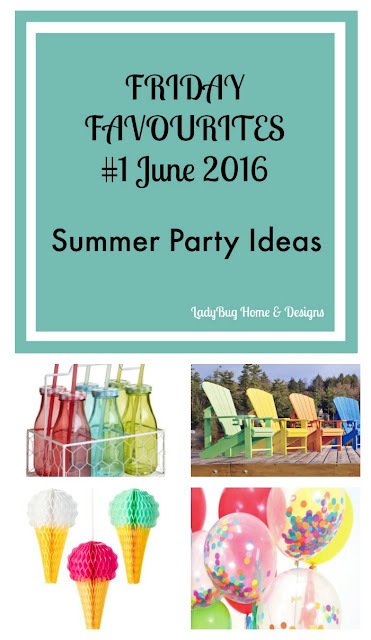 Thank you for stopping by to read about my ideas for a perfect summer party. 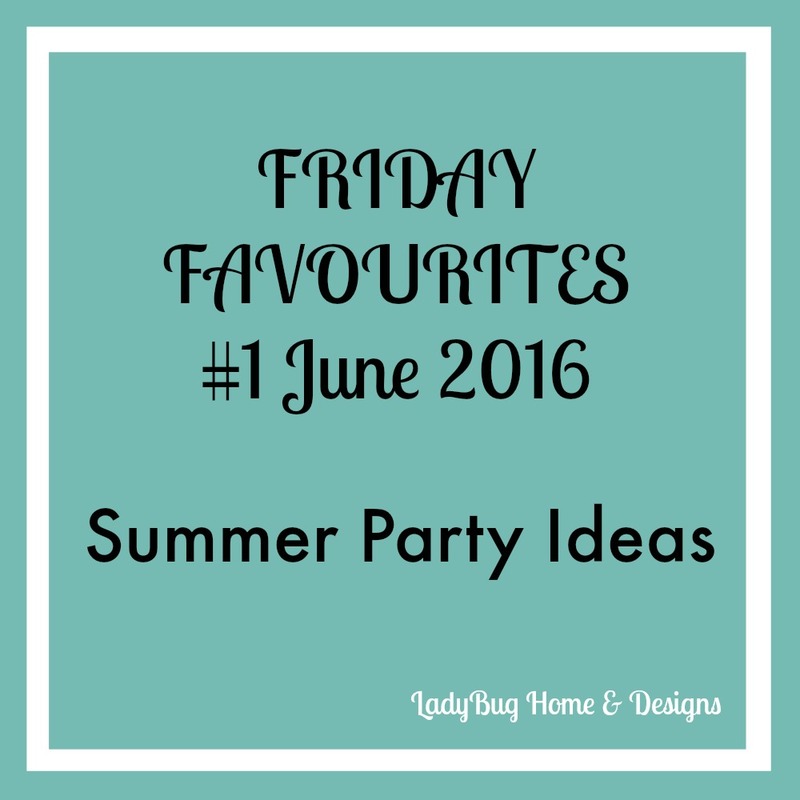 Hope you will join us on Fridays when we will be sharing our new and old favourite items.